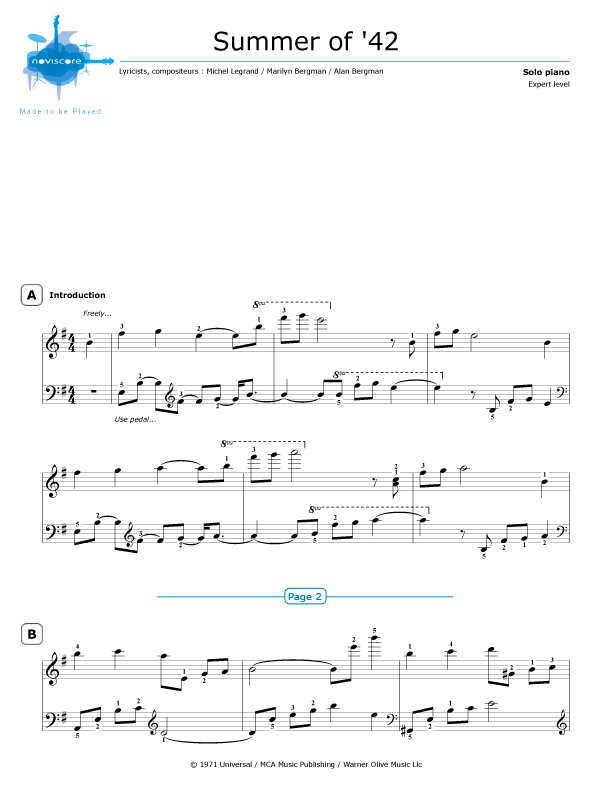 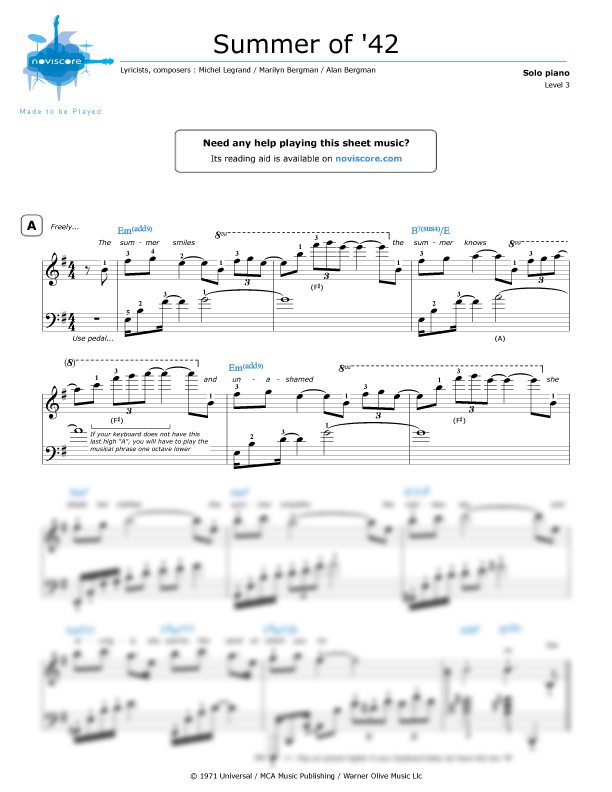 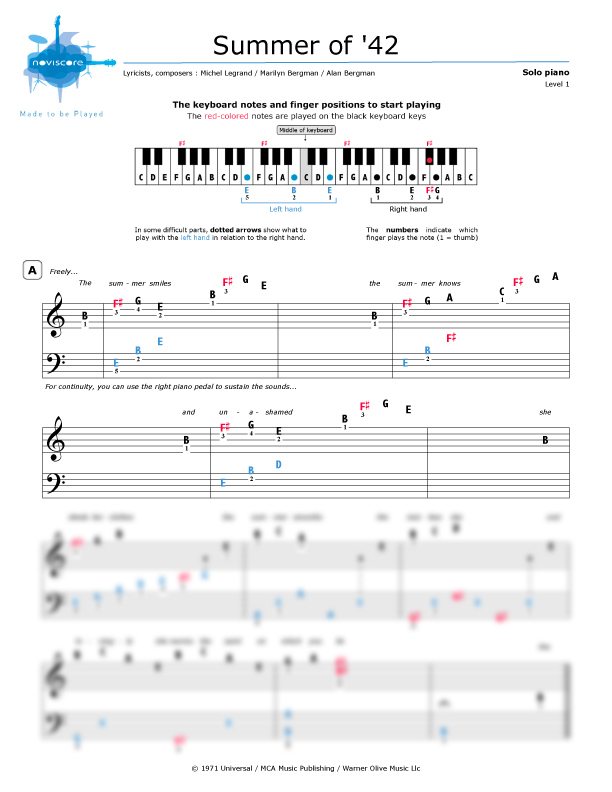 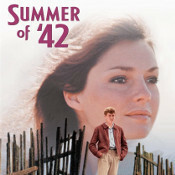 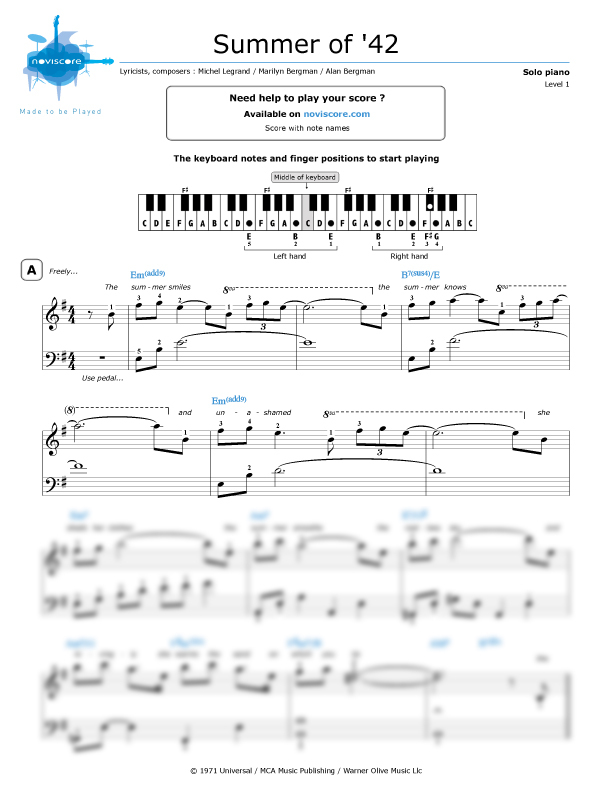 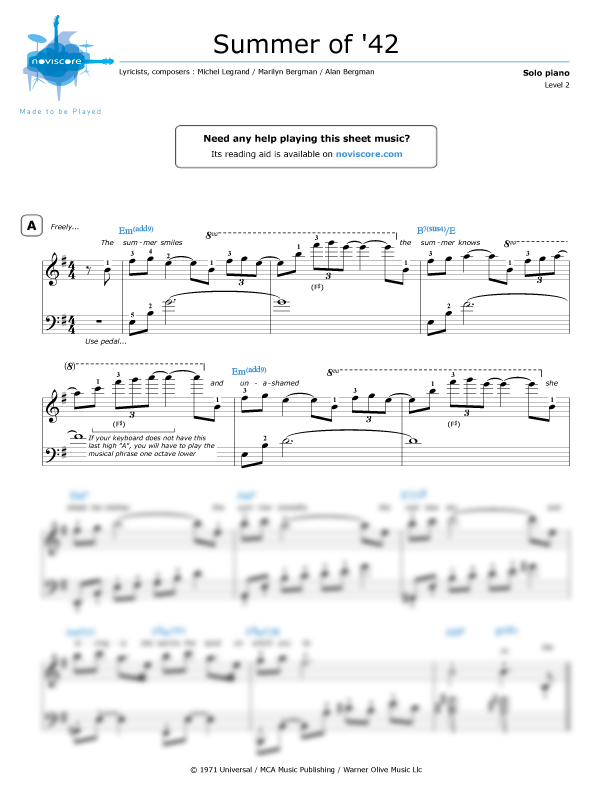 Play our Summer of ‘42 piano sheet music and relive all the emotion of this ‘70s cult film. 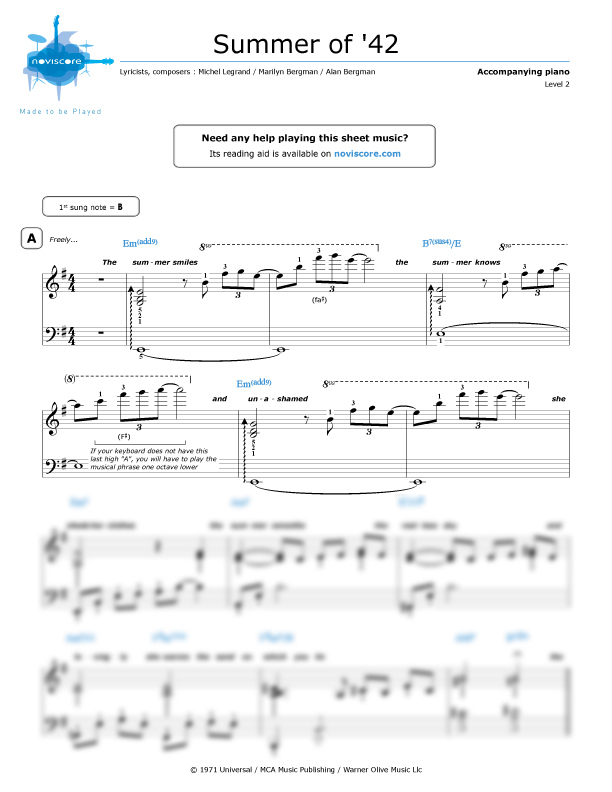 Carried by a sumptuous soundtrack by Michel Legrand, he won the Oscar for Best Film Music in 1972 — it is one of the most moving compositions produced by this great French film music composer. 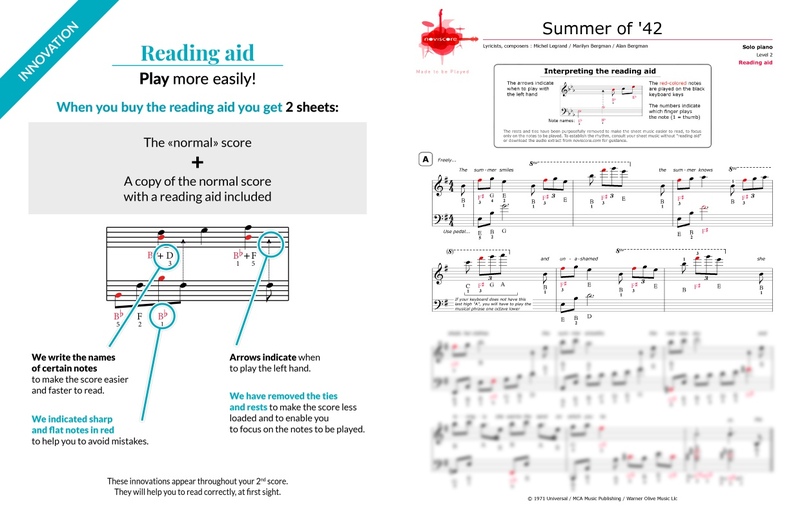 Whether you are a beginner or an experienced player, our pedagogical approach by levels allows you to choose a score specially adapted to your instrumental practice. 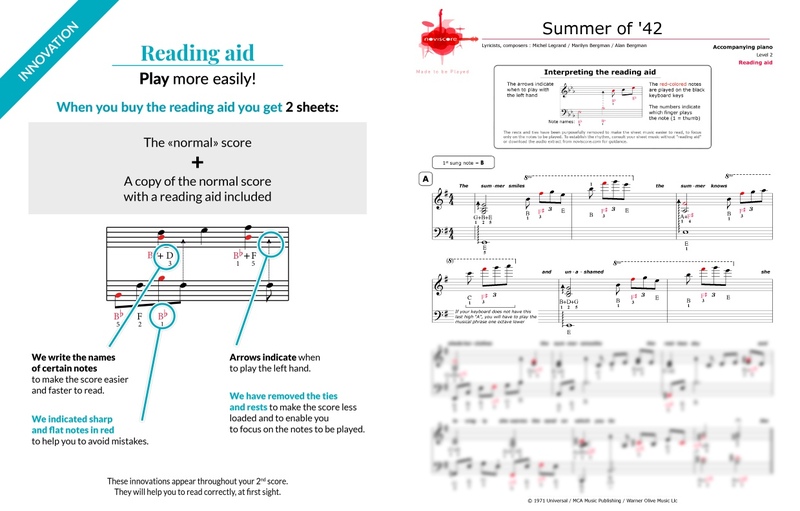 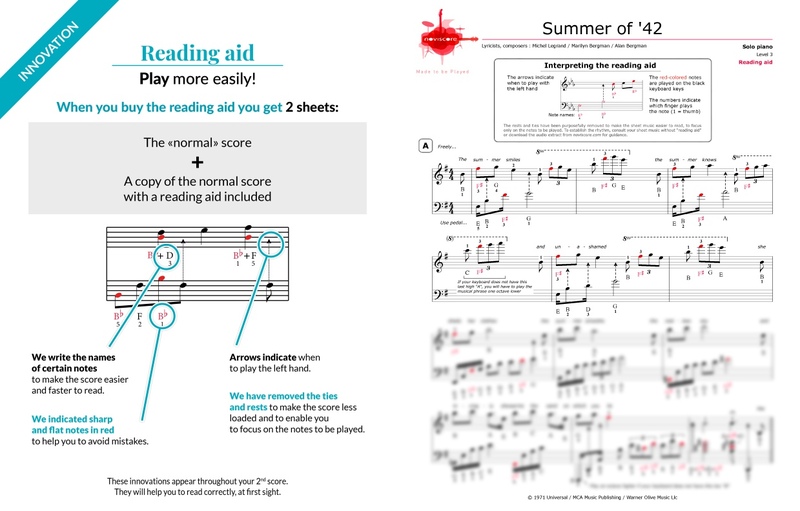 In addition, our reading aid system makes it easier to decipher for those for whom solfege is not a strong point.